Jack Em Popoy: The Puliscredibles is an upcoming Philippine action comedy film directed by Mike Tuviera and starring Coco Martin, Vic Sotto, and Maine Mendoza.The film will be released on December 25, 2018, as an official entry to the 2018 Metro Manila Film Festival. 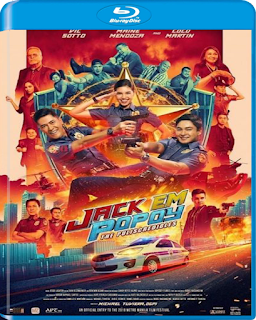 Its plot revolves about a team of "puliscredibles", consisting of three charismatic and adventurous police officers named Jack, Emily, and Popoy, who embark on a mission to stop crimes from occurring within their vicinity. On June 13, 2018, Coco Martin confirmed that he will star in an action movie alongside Vic Sotto. Martin has stated that it was his dream to work with Vic Sotto since he is a fan of the Sotto trio, consisting of Vic, Joey and Tito. The 2018 Metro Manila Film Festival announced that Jack Em Popoy: The Puliscredibles will be one of the four accepted script entries. On June 29, Maine Mendoza joined the cast as the daughter of Vic Sotto’s character. Ryzza Mae Dizon, Baeby Baste, Jose Manalo, Wally Bayola, Ryza Cenon, Arjo Atayde, Cherry Pie Picache, Tirso Cruz III at Ronaldo Valdez were also confirmed to be part of the movie. According to Vic Sotto, this will be Maine Mendoza’s first role in the action genre, while there are challenges she had to tackle with. On July 16, Coco Martin was initially attached to direct the movie, but due to directorial conflicts with the acclaimed television series Ang Probinsyano, who also had Martin has one of the directors, he drops out and decides to be the producer instead, with Mike Tuviera signing on as the new director considering his successful track record. Despite this, Martin freely admitted that he will still handle the creative aspects of the movie.